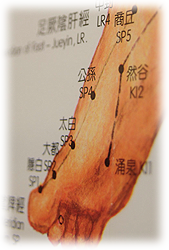 An integral component of Traditional Chinese Medicine, Tui Na literally translates as “push pull.” Tui Na utilizes deep pressure to move the Qi and blood within the meridians to disperse stagnation and balance the body. Filipp Gadar uses hand techniques such as pressing, rubbing, pushing, grasping, kneading, and rolling to release the muscles, promote circulation and decrease pain. Vigorous movements such as extensions, rotations, lifting and pulling techniques complement the hand techniques to correct structural misalignment and benefit the musculo-skeletal system.